Avalon Beach SLSC Boaties are going on 24 Hour row to support One Eighty and Gotcha4Life: Let's do this! Avalon parents Melissa and Nathan Wellings have organised an event in Avalon to raise funds and awareness for the One Eighty organisation – a Youth led charity focused on developing local projects to create awareness and equip teenagers and young adults with skills in mental health care. Nathan is one of 3 sweeps at Avalon Beach Surf Life Saving Club, with approx 50-60 rowers who excel in surf boats in every division you can row in and have won and won and won during the last season at local, state and national level and even represented Australia again this year in the Trans Tasman – they won that too. There’s something else the rowers of Avalon Beach SLSC want to win, and that’s a shift in the way we support each other through difficult times and support those who create opportunities to reach out for alternatives to help us get out of those ‘stuck’ moments. On 18/08/2018, the Wellings and Av. Boaties will be hosting and doing a 24 hour row in the clubhouse. The rowers will commence at 10 a.m. on the 18th and row until 10 am on the 19th. They will row on two machines, at around 14k an hour, to reach a distance target of 672 kilometres – so just past Port Macquarie and back again – in 24 hours! Or if you want to go south, that’s almost to Melbourne – in 24 hours! There will also be some internal challenges within the 24 hour row, such as Bow versus Stroke legs. 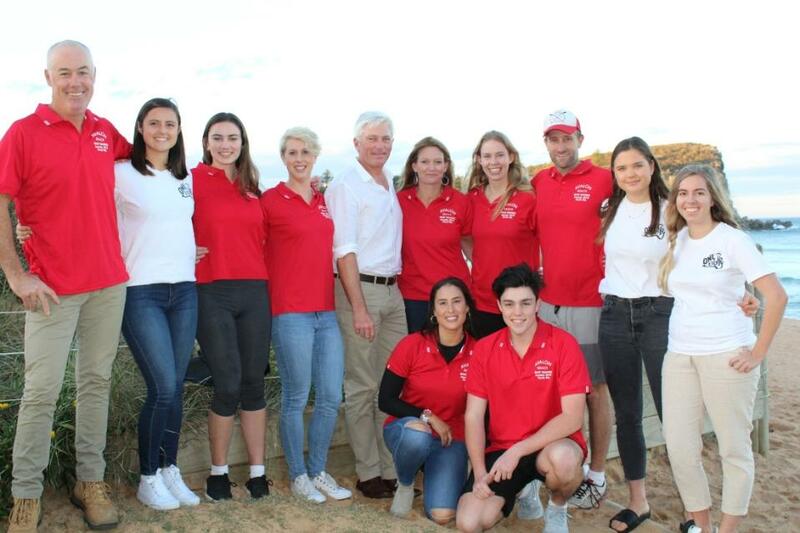 The rowers are hoping the community will get behind this event so the maximum funds can be raised to help the great work One Eighty Avalon is doing. They are rowing for 24 hours as mental unwellness is a 24 hours a day health issue. They are rowing for 24 hours to remind all that there is also support 24 hours of each day too – through Lifeline and other support services. They are starting on the 18th of the 8th 2018 as there’s lots of 180’s in those numbers. Gus Worland of Gotcha4Life has stated he’s in and will be visiting the 24 hour Marathon Row. “We’re hoping he’ll try out one of the machines while he’s here.” Melissa says. One Eighty will soon be launching a 24 Hour Row fundraising page – updates will run here as soon as we receive them. They stated on Saturday they will splitting the funds raised with Gotcha4Life – so let’s all get their backs. One Eighty invites you to an evening of all things Gut Health, the Mind - Food Connection, and how to build a better relationship with your food. Join us for a panel discussion with special guest speakers Kale Brock (award nominated writer, producer and speaker), Layla Metcalfe (Clinical Nutritionist, Naturopath, Health Coach), Sammie Flook (Wellbeing and Mindset Coach), and Scott Gooding (Chef and Thought Leader). Each of our speakers has a different take on nutrition and will be sharing personal, professional and clinical experience in an open and interactive discussion format. We will be serving a nourishing spread of healthy treats, canapés, kombucha, and teas. The FIRST 30 people to book a ticket will receive a goodie bag with treats from Flannery’s, Prodjuice, SuperCharged Foods, a week of free yoga at Modern Movement, and more! All welcome! So bring a friend or three and enjoy a night of yummy food, useful information and great company in Avalon! Youth led charity focused on developing local projects to create awareness and equip teenagers and young adults with skills in mental health care. One Eighty’s vision is for a future free of youth suicide. For local communities to band together to provide support and opportunities to openly discuss mental health. Our goal is saving lives and making a significant impact in raising the mental state of boys, men and their families. We established the ‘GOTCHA 4 Life’ Project to target Men’s Mental Health – with the goal of saving lives and making a significant impact in raising the mental state of boys, men and their families.